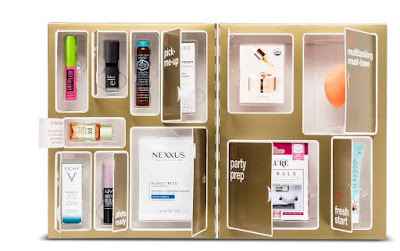 Shop Target where they are offering this 12 Days of Beauty Advent Calendar for only $15 shipped ($58 Value). This Advent Calendar includes $58 worth of beauty favorites including e.l.f. Lip Exfoliator, Pixi Glow Tonic, NYX Bright Idea Illuminating Stick and much more! Shipping is FREE for any size order through 12/23/17, and if you’re a Target REDcard holder, you’ll save an extra 5% off your purchases!